DotA 6.78 Unreleased Heroes Candidates Revealed! 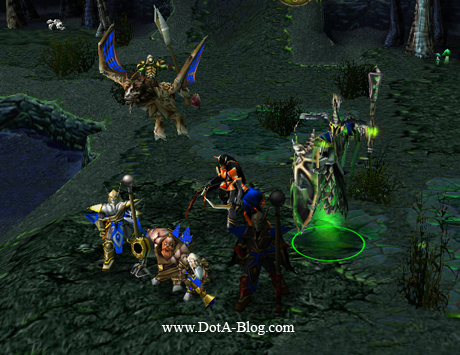 Siraraz from the PlayDotA forums found something amazing from the DotA 6.77b data dump. 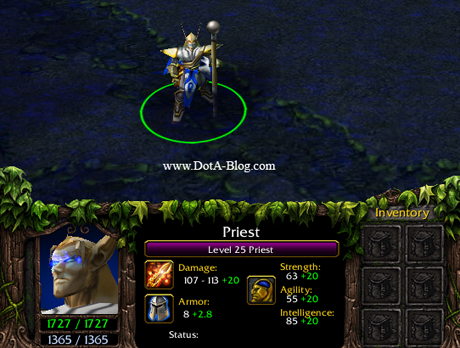 He revealed some units data (heroes) inside the current DotA map which not yet playable. A total of 6 unused heroes are still sleeping there, lying deep inside the map. And probably, some of them will make it to the DotA 6.78. Well then, let's take a peek of who they are! Relevant information shows that it silences and slow enemy units. Relevant information shows it applies Drunken Haze that causes enemy units to miss 80% of their attacks. A skill that toggles between two forms: base hero and Siege form. The toggle has a 4 second CD. Reduces ms of the Mortar team to 100 but also increases attack damage by 50/100/150 and raises attack range to 1000/1250/1500. 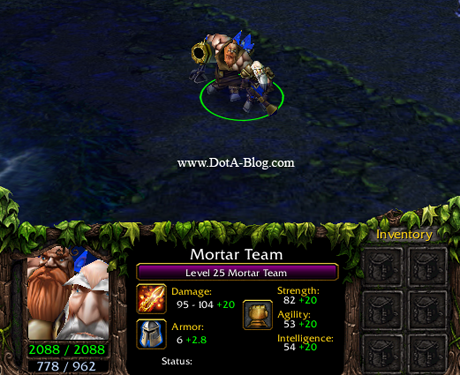 The Mortar Team can be made to attack ground, and all attacks hit in an AoE. When we tried to test orbs with this attack, the game crashed. Silences a single enemy and deals damage. Increases damage by 100 on an allied target for x attacks, but also lowers their movement speed. Deals damage in a small AoE after a short delay based of a formula that seems to be partially derived off of the hero's AGI. Banshee's Anti-magic Shell on a target ally as well as increasing their movement speed. Cyclones everything in the area of effect (except buildings). After the cyclone ends, friendly units gain bonus movement speed whilst enemy units are slowed. Wind Barrier seems to apply some extra armor and attack speed based on some ability information. Targets an allied unit and places a buff on them for ~10 seconds. If the unit is killed by an enemy, the unit responsible for the killing blow takes damage and is stunned. Places a ward which causes nearby enemy units to become ethereal. 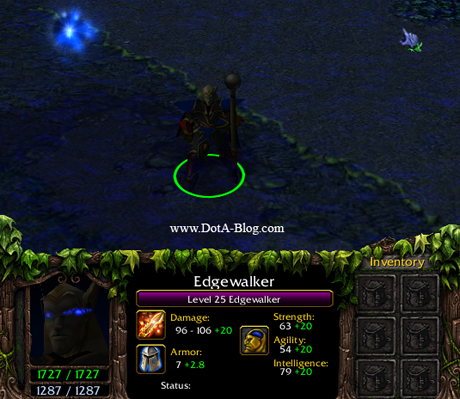 Whenever Edge Walker casts a skill, all enemy units in an AoE of x are pulled y distance towards him. This skill seems to passively spawn a wisp next to Edgewalker at intervals of x seconds. He can have up to a maximum of 3 wisps around him at a given time. Casting this skill destroys one of the wisps and silences and deals damage in a small AoE. The CD of this skill is very short, but it's limited by the wisp spawns. Deals damage and ensnares units in an AoE between 400 and 600 units from the hero. Units closer than 400 are not effected. Seems to be the same as Dragonhawk Rider's Arcane Seal skill. Well, it would make sense as this hero is named Dragonhawk. Prototype? Pushes target away from the caster by ~350 units. The skill heals allies it's cast on and harms enemies. Can be targeted on self, will push in direction of facing if cast on self. Targets a single ally and causes the caster to begin to channel. The targeted unit takes no damage for the duration of the channel. 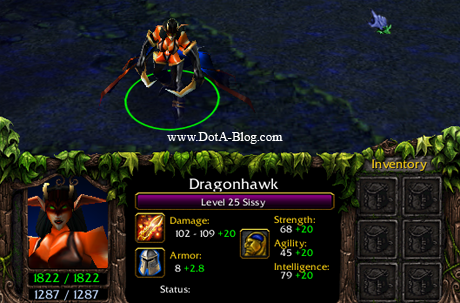 At the end of the channel, Dragonhawk gains a sub ability that allows her to launch a projectile that deals the negated damage in an AoE. Launches a missile in the targeted angle. Deals damage proportional to blocked damage. For best results, tank the fountain and then get a rampage. Puts the hero into the Ethereal state for x seconds, at the same time increasing MS. The skill can be cast again to end the Ethereal state early, although at max level the CD and duration of the skill seem to be the same, allowing for the skill to be on all time. Fires 3 orbs in parralel line that each move at 800 units per second. These orbs deal damage and stunn any units caught at the tip of the AoE. Deals damage to all enemy units in an x AoE and applies a buff. This buff reveals invis units and deals damage over time (It's essentially Dust with damage). Reduces the MS of all enemy units on the map to 100. Note: Summon the heroes by type -clear, they will immediately appear in the middle of the map. Wow! Even though we don't have any official information yet about those heroes, thinking about Mortar Team as the new hero makes me all jumpy! Let's hope IceFrog will give us some updates about the next DotA 6.78 map very soon! Meanwhile, which hero do you like the best guys? PS: If you still don't get it, this information is not from a beta map, but from revealing unused heroes in the latest official DotA map. Credits: All credits goes to Siraraz for this amazing discoveries! malapit nang mag 8MB yung DotA... pag nag-upload pa ng bagong model file, skill sets at sound sets baka hindi na kayanin. walang problema dun. 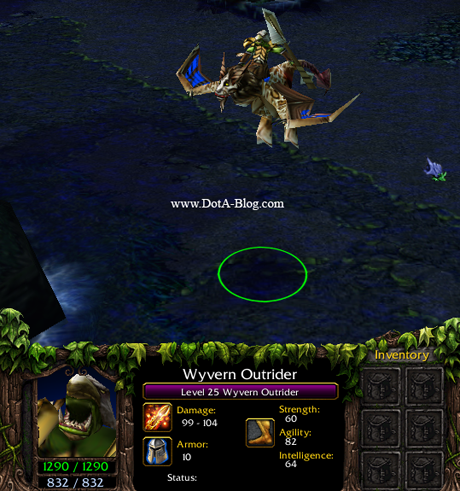 maguupdate lng yang patch ng warcraft. try no kya ung elven high archer griffon rider, harpy pti yung acolyte para iba yung dating nung game. kung gusto nyo pang tangkilikin ang dota try nyo lng.. TRY NYO LANG AYUSIN NYO!!! CORNY NG NEW HEROES!!!!!!!!!!! just like legion maps !! More power to this blog! Very excited to learn some useful staff in yor blog! There's still models were not used. I agree man! He can come up with such epic heroes using these models! not some prank for april fools right? I bet Mortar Team will be the best !! i played dragonhawk and it seem to be a good support hero..
Ghost Relevant = That last skill is an active skill, making it passive is way too OP. +1 to edgewalker ghost revenant, and mortar team. When did the map come? sana ung harpy naman ang ginawa nilang character diba? 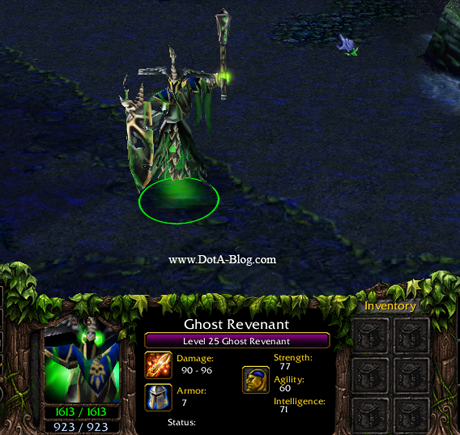 parang c razor at c QOP lang ung dragonhawk at ghost revenant eh. These will never be in DOTA2. where is earth panda?. . when earth panda will released? kaylan puba ma re-released ang 6.78 mga ser??? ..labas nu na mga new heroe ng masubukan.. bali ng baduy ung itsura wag lang baduy ang pangalan. sana mapabilis ang paglabas nito sa public..